Major Lloyd Jones out, Marconi Leal in? Posted: Friday, June 1, 2018. 11:23 am CST. By BBN Staff: Retired Major Lloyd Jones, is the latest PUP standard bearer to be pushed out of the way by the new PUP leadership preparing for the 2020 general elections. 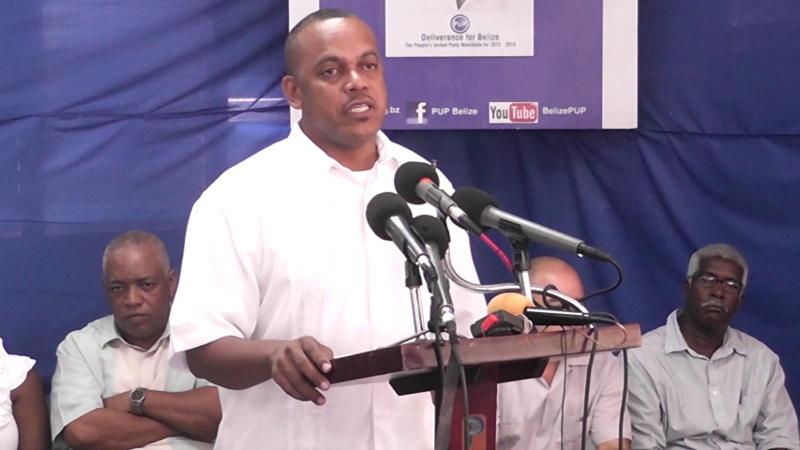 Just as previous candidates, Jones took to Facebook where he announced that he would withdraw his application to remain the representative for the Belize Rural North constituency. “Out of respect for the Party Leader I shall say no more until June 11th,” he added. BBN understands that the PUP is leaning to support Marconi Leal as Jones’ successor. BBN has been earlier informed that Leal is the cousin of PUP Party chairman, Henry Charles Usher. However, we were informed that Usher and Leal are not related. Leal additionally, is the party’s village council chairman for the village of Sandhill. While a reliable source has furnished our newsroom with these reports, there has been no official comment from the party on this matter.